If you’re already familiar with Treize from its original location, you’re gonna love their bigger, brighter better new location. If you’re not already familiar with Treize, you’re gonna love me for clueing you in. 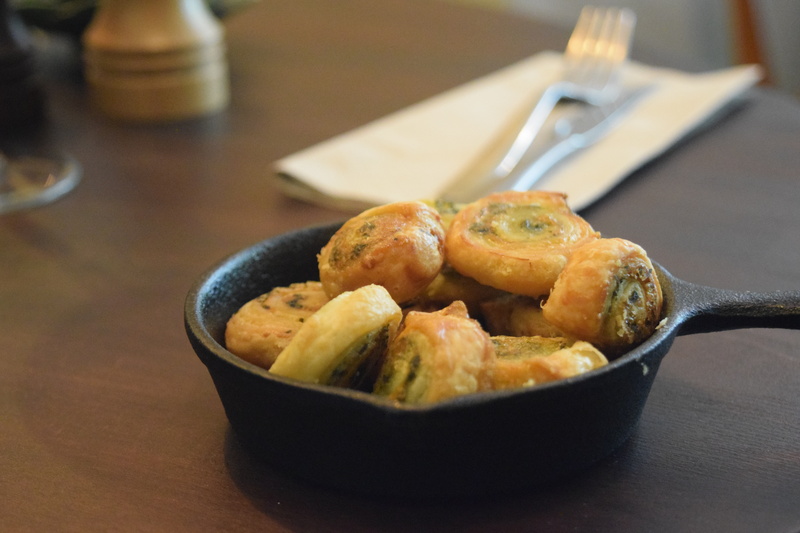 Treize is a tea room, restaurant, bakery – but, it’s really something that is more than the sum of those parts. It’s a comfy home away from home created with heart and soul by owners Kajsa von Sydow and Laurel Sanderson. The open kitchen in the back serves up a selection of down home dishes like pulled pork, ‘not fried’ chicken or fresh salads. And, don’t forget those delish buttermilk biscuits. The ladies believe that “food should be made by people, not machines; animals deserve decent lives and farmers deserve to make a fair living.” That translates to free range and organic ingredients from trusted suppliers. A practice that is also carried over to their bar. 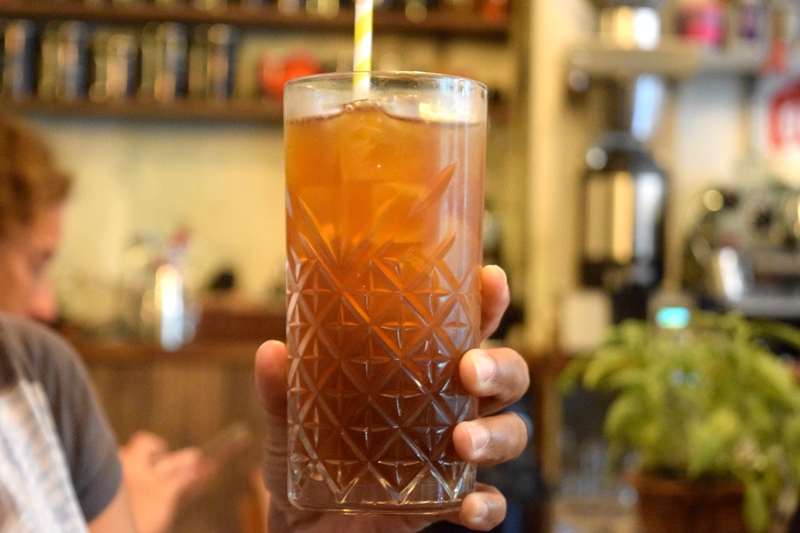 In addition to coffee, tea and softs, Treize offers up a seasonally changing selection of drinks for adults. Don’t expect classic cocktails of the short and strong variety, but rather drinks better suited to sipping in the daytime. Their gin section includes a G&T served in a teacup – better yet, make it ‘tea’ for two and order a pot. Under the bourbon heading, a Chili Ginger Lemonade goes down nice and easy. 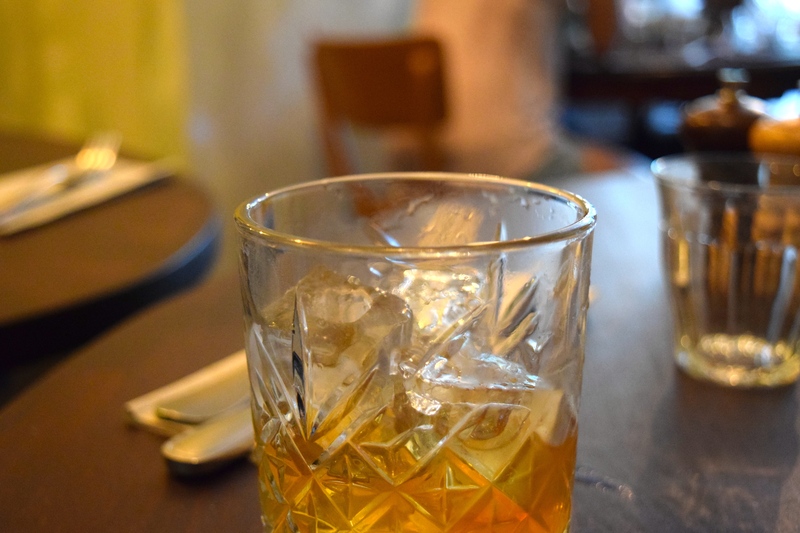 Or for something a bit stiffer, try their house made honey infused bourbon on the rocks. Lemonade for Grown Ups replaces water with wine and tops things off with something sparkling. Prices run for 9 to 11 Euros for this lovely little selection of boozy tea time treats. They are open from 9am to 9pm, so you can grab something sweet for breakfast, enjoy a leisurely lunch, get in some day-time drinking or start off your evening with a friendly aperitif inside or on the sweet, non-smoking terrace. The location, directly across from the Luxembourg gardens makes it easy to work up an appetite or work off the treats with a stroll around the park. Just don’t go in a hurry, because you’ll want to settle in for awhile.